The future is ours if we want it! 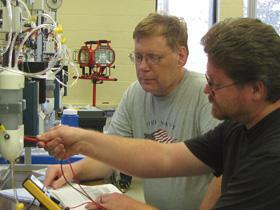 That’s me working on a Hydrogen Fuel Cell! This photo is from the Oakland Press Online Article. Plastic Eng. & Tech. Services, Inc.